Compiled by Robert Gaylon Ross, Sr.
People are always talking about the “ruling elite” and our “unelected rulers” but seldom are names mentioned. Well, here they are. 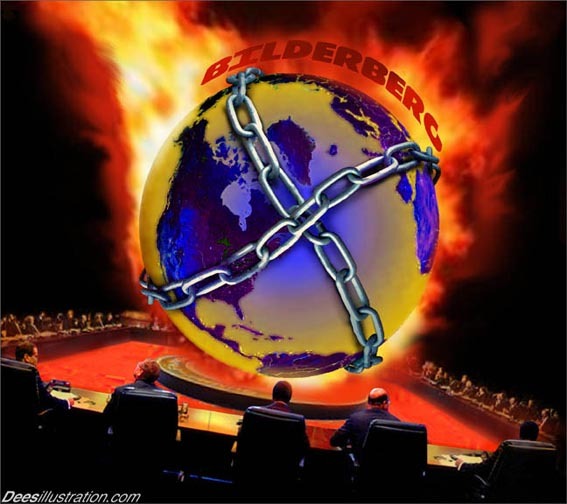 Drawing from membership lists of the world’s most powerful and, in some cases, secret organizations, the actual names emerge in alphabetical order, cross indexed for such groups as the Bilderbergs, the Council on Foreign Relations, Skull & Bones Society, and the Trilateral Commission. Brief descriptions of each organization are included. Version 9 has been updated to include the most current information available. It would take years of research to duplicate this amazing compendium. Large format, 349 pages. Order here: Who’s Who of the Elite, V9. Documentaries, Freemasonry, Illuminati, Jesuits, Mind control, New World Order (NWO), Ponerology, Power, Real history, Religion, Support groups, Trickery, Vatican, What do psychopaths do? More powerful than the Pope, than presidents, kings and even bankers… the Jesuits. The Pope in Rome is the “White Pope” and the Jesuit Pope is known as the “Black Pope”. An interesting history here, told mainly through quotations. Who are the Jesuits – YouTube. Lets start our time machine. We turn the dial to the year 1954 and suddenly we find ourselves in the plush offices of the Ford Foundation in New York. We see two men seated at a large, mahogany desk, and they are talking. They cannot see or hear us. These men are Roland Gaither, who was the President of the Ford Foundation at that time, and Mr. Norman Dodd. Mr. Dodd was the newly appointed chief investigator of what was called the Congressional Committee to Investigate Tax Exempt Foundations. The Ford Foundation was one of them, so Dodd was there as part of his Congressional responsibilities. It was about 1972 that I happened to meet Mr. Dodd in Virginia… We were very fortunate to capture his story in his own words. Read more at CFR. Dodd’s complete testimony is available from http://www.realityzone.com. It’s called “The Hidden Agenda” – in both video and audio formats. The printed transcript can be downloaded free of charge at http://www.realityzone.com/hiddenagenda2.html. Secret Societies – The String Pullers? – pt.1 of 4 – Freemasonry, The Secret Empire – (HD) – YouTube. Even most Masons will not be aware of the following facts unless they have researched the matter, for they are kept in the dark and the promise of “light” lures them into higher and higher levels of Freemasonry until they get to the top at which time they realize they will never get the pure white light in Freemasonry. Freemasonry is the worship of Satan, which those in higher rank understand the mirror meanings of its symbols. 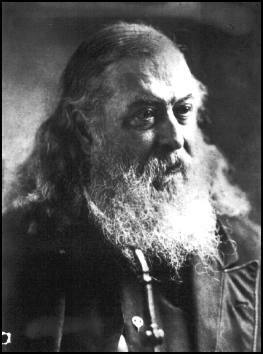 One of its founders whose name is Albert Pike who was a 33rd degree mason, was head of the Ancient Accepted Scottish Rite of Freemasonry. He was the Grand Commander of North American Freemasonry from 1859 until his death in 1891, which in 1869 he was a top leader in the Knights of the Ku Klux Klan. As a known Satanist, he indulged in the occult, and possessed a bracelet which he use to summon Lucifer (Satan) for guidance and wisdom. He was the Grand Master of a Luciferian group known as the Order of the Palladium (or Sovereign Council of Wisdom), which had been founded in Paris in 1737. Palladism had been brought to Greece from Egypt by Pythagoras in the fifth century, and it was this cult of Satan that was introduced to the inner circle of the Masonic lodges, in which it was aligned with the Palladium of the Templars. An Italian revolutionary leader, Giusseppe Mazzini (1805-1872), a 33rd degree Mason, was selected by the Illuminati to head their worldwide operations in 1834 which also Mazzini also founded the Mafia in 1860. Because of Mazzini’s revolutionary activities in Europe, the Bavarian government cracked down on the Illuminati and other secret societies for allegedly plotting a massive overthrow of Europe’s monarchies. As the secrets of the Illuminati were revealed, they were persecuted and eventually disbanded, only to re-establish themselves in the depths of other organizations, of which Freemasonry was one. Albert Pike intended to use the Palladian Rite to create a Satanic umbrella group that would tie all Masonic groups together, which was successfully accomplished by his fellow Masonic brothers. The Illuminati are tied directly through masonry to the sun and Isis cults of ancient Egypt. Killing was a mystical experience to this branch of the Mystery Schools. They not only maintained their control by murder and threats of murder, they believed that the assassin could acquire the gnosis, or soul energy from the victim. This is the theory behind the human and animal sacrifices of Satanists throughout history and the ritual child abuse. Masonry never works in the full light of day, but yet every one knows of its existence, its meeting places and of many of its adepts, but one is ignorant of its real aims, its real means, and its real leaders. The immense majority of masons themselves are in that position, in which they are only the blind machinery of the sect which they serve. In which many of them see the surface benefits of what they can achieve in their political life and work life and family life, desire those advantages, and seek to join and become blinded to the point, that they would be stupefied if they knew for what they are being used for. During the late Middle Ages when any opposition to the Holy Roman Universal (Catholic) church was forced deep underground, among the only organized groups able to move freely throughout Europe were the guilds of stone masons, who maintained meeting halls or “lodges” in every major city. Freemasonry evolved over the last thousand years from the Knights Templar, and before that traces its roots to ancient Egypt, the Egyptian Mystery Religion and Esoteric Schools. What must be understood is that, Freemasonry is not, however, merely a builders and stoneworkers guild. Right from the first degree initiates take blood-oaths, perform occult rituals, and begin learning about a number of arcane subjects delving deeper as they rise in degrees, the same one rises today from Pre K up to College to receive their Masonic degree. Some of the subjects studied/practiced include: Astrology, Consciousness, Magic, Tarot, Kabbalah, the Tree of Life, Sacred Geometry, Divination, Scrying, Theosophy, Numerology, Symbology, Alchemy, Hermeticism, the Chakra system, Auras/Energy bodies, Astral Projection/OBEs, Kundalini Yoga, Geomancy, Masonic/Occult History and Philosophy, Metaphysics, Epistemology, Secret Handshakes and Gestures. The Blue Degrees are but the outer court or portico of the Temple. Parts of the symbols are displayed there to the initiate, but he is intentionally misled by false interpretations. It is not intended that he shall understand them, but it is intended that he shall imagine that he understands them. Their true implication is reserved for Adepts, the Princes of Masonry. Blue degrees are just about in the light in regards to the symbols as so called Israelites and truth seekers are, who are being misled by false interpretations, not comprehending the mirror meaning of them. So without understanding that Freemasonry is a fraternity within a fraternity, protecting the agenda of the higher elite at the top of the all seeing eye pyramid, then those within the lower ranks, such as your local banks and churches and office workers and everyday average joe, are purposely kept in the dark by the Elite’s front runners known as the Democratic and Republican parties. These two parties work together to keep concealed the inner brotherhood of the elect and their agenda, appearing visible as two separate orders, but yet really are interdependent orders. Interdependent as meaning, mutually dependent upon each other in order to exist, so the whole acting as if they don’t like each other and different from each other, is just no different than professional wrestling, they acting for the camera. Their just entertaining the public by way of false pretenses to keep them in a virtual reality of the Elitest carousel, so they’ll continue living subconsciouly under the illusional merry go round of the American Dream. In each generation only a few are accepted into the inner sanctuary of the work, in which the great initiate philosophers of Freemasonry are masters of that secret doctrine which forms the invisible foundation of every so called great theological and rational institution. The World Bank’s stated purpose is to help poor and developing countries by providing loans. The catch? To obtain one of these loans, you have to comply with the Bank’s draconian wish lists. Examples of the conditions countries must meet to gain access to a loan include suppressing wages, cutting programs like education and health care, and easing limits on foreign investment. How do the results stack up with its stated mission? Not well. In fact, data shows most countries that have taken the World Bank’s money and agreed to its terms are no better off today then they were when they received their first loan — and many are actually worse off. Of the 66 less-developed countries receiving money from the World Bank for more than 25 years (most for more than 30 years), 37 are no better off today than they were before they received such loans. Read more at This Secret Group Controls the World | Economy. Myron Fagan exposes the Illuminati/CFR  – YouTube. What If The Illuminati Had A Training Video? It might look a bit like this. I. Banking and Business: Here you will learn how a corporatist model will be set up to replace sovereign government with a world government run by experts in the fields of banking, technology and media. You will discover the role of central banking to ensure that nations who do not cooperate will be crushed with un-repayable debt; its citizens turned over to our management divisions – the IMF, World Bank and other institutions of higher purpose. II. Military and Intelligence: Here you will begin to understand that the United States has been set up as the military arm of the New World Order to serve as the prototype for a global police force. You will also learn about the conditioning of the American populace to believe that war is peace, and that it is the role of their country alone to bring democracy to the world. Those who resist will eventually succumb to the hi-tech military-industrial-complex, subjected to all forms of military might including weather weapons. III. Politics: Here you will learn of the unspoken agreement between the two-party dictatorship political design of the United States which advances a single overall agenda even as the media stokes the fires of their superficial differences. For the increasingly distrustful public, you will be introduced to the concept of the “rogue candidate” as controlled opposition who serves to further fragment any true resistance to Illumicorp’s much larger agenda. Instead, this rogue candidate will provide a de facto centralized database of those dissidents who oppose the New World Order. IV: Education: Here you will learn about how education has been federalized to increase obedience and conformity on a mass scale. From the creation of the General Education Board in 1902, right through to Common Core today, coupled with licensing the official version of history via educational and theatrical releases — the dumbing down of America has been a spectacular success for Illumicorp. But, as always, much more needs to be done. V: Media: Here you will learn about the integral role played by news, entertainment and advertising to create consensus reality through control of the collective unconscious. From modern forms of mind control to the hi-tech, few will remain aware of the hidden strings being pulled. Repeated patterns illuminating the isolation of the individual aim to produce a fearful, scheming population distrustful of all but those in authority. VI: Religion: Here you will understand this age-old system of organized social control which has created flocks marching in lock-step according to a rigid, centralized doctrine, abandoning their spirituality along the way. However, another key component of religion is very helpful to us: the fanatic. By encouraging fundamentalism, religious duty has now merged with State and military duty, thus creating true soldiers of God willing to kill and die in order to protect their particular brand from threats posed by other brands. The chaos created has produced calls from all sides to eradicate these terrorists and restore order. As always, Illumicorp is here to help. As the great plan reaches its final phase, having created thwarted the darkness imposed by an overbreeding rabble of the unenlightened now in constant conflict, Illumicorp is ready to shine its full light of wisdom upon the Earth. You will move beyond the limits of nationality, class and religion and embrace our vision of one world government, one world religion, and true equality among human beings. New technologies offer the power to monitor and control every individual and predict their behavior, thus increasing our knowledge and management skills. With this power, we can ensure that the guidelines we have established over millennia are followed to the letter and the byte … permanently. Mankind can finally be permitted to operate as a well-oiled machine. But never forget: YOU are not among them. YOU are special, illumined, and destined for greatness as a destroyer of worlds and the true creator of something entirely new: Human Body 2.0 – the Post-Human. Will you help Illumicorp complete the plan? Please do remember: we are all in this together…. Read the full article at Activist Post: What If The Illuminati Had A Training Video?.